Fort Sill is a large U.S. Army installation located in southwest Oklahoma, the heart of "Oklahoma's Great Plains" country--a region of wide, open spaces and clear blue skies. It is 90 miles southwest of Oklahoma City, the state capitol, and 50 miles north of Wichita Falls, Texas on Interstate 44. The post is adjacent to and just north of the city of Lawton. Entry to the post is through three main gates: Key Gate from the west, Sheridan Road Gate from the north, and Fort Sill Gate, also from the north. All field artillery Soldiers and Marines receive their training here, as well as many international students from allied nations. Fort Sill is home to the Field Artillery Training Command, IIId Armor Corps Artillery, and many tenant activities. At Fort Sill, we take enormous pride in our community--a community of excellence in spirit as well as in name. The wellspring of our excellence lies within our people--Soldiers, Marines, Civilians, and families of Fort Sill united in a common and abiding commitment to care for one another and treat everyone with dignity. HISTORY: Whether your specialty is field artillery surveyor, cannon fire director, or Multiple Launch Rocket System repairer, you join an elite group of artillerymen and Soldiers who fought hostile Indians and eventually won the West, Southwestern Oklahoma, that is. United States artillery can be traced back to the Military Company of Massachusetts, which was chartered in 1638, and with other colonial artillery companies formed what became the Continental Artillery. More than a century later, in April 1775, the legislature authorized the formation of an artillery regiment. This unit was first commanded by COL Richard Gridley, a former British artillery officer who later was replaced by COL Henry Knox. COL Knox eventually became the Chief of Artillery and is credited with shaping artillery for the remainder of the Revolution. It would be another century, on January 8,1869, before MG Philip H. Sheridan staked out the site that would become Fort Sill. Sheridan was leading a campaign into Indian Territory to stop hostile tribes from raiding border settlements in Texas and Kansas. His massive winter campaign involved six cavalry regiments accompanied by frontier scouts "Buffalo Bill" Cody, "Wild Bill" Hickock, Ben Clark, and Jack Stillwell. Troops from the 10th Cavalry, a distinguished unit of black "Buffalo Soldiers" who constructed many of the stone buildings still surrounding the Old Post Quadrangle, camped at the new fort. In June 1874, the Comanches, Kiowas, and Southern Cheyennes went on the warpath, and the South Plains reverberated with the hoofbeats of Indian raiders. The resulting Red River Campaign, which lasted a year, was mainly a war of attrition with the military in relentless pursuit of the Indians. Without a chance to graze their livestock and faced with the disappearance of the great buffalo herds, the hostile tribes eventually surrendered. Quannah Parker and his Quohada Comanches were the last to abandon the struggle, and their arrival at Fort Sill's Quartermaster Corral in June 1875 marked the end of Plains Indian warfare on the Southern Plains. In July 1901, 29,000 homesteaders registered for the land lottery at Fort Sill. On August 6, the town of Lawton sprang up and quickly grew to become the third largest city in Oklahoma. As Home of the Field Artillery, Fort Sill is not only at the forefront of tremendous technological advances, but it is also steeped in natural, living history. 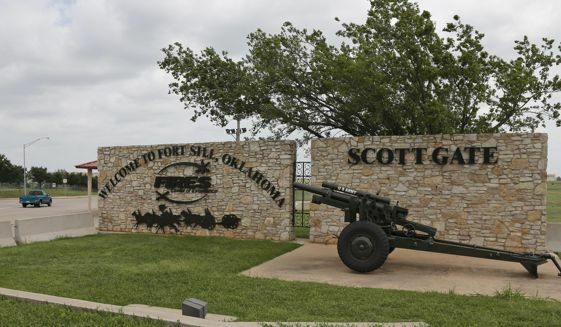 And, as the only active Army installation of all the forts on the South Plains built during the Indian wars, Fort Sill is also a National History Landmark. For a thorough history of the installation visit the installation's homepage located at the top of this page. MISSION: Fort Sill's mission is to train artillery Soldiers and train them well. To do that, they are trained day and night to put "steel on target." Fort Sill's three-pronged approach to training and preparedness makes it one of the best training posts in the Army. It is comprised of the Field Artillery School, the primary training facility for field artillery Soldiers and Marines worldwide; the Field Artillery Training Center, home of basic combat, one-station unit training, and advanced individual training; and IIId Armored Corps Artillery, the largest field artillery complex in the free world. POPULATION: Fort Sill is a large installation. The total population in Fort Sill is about 53,000 including civilian personnel, contractors, military family members, retirees, and Soldiers. The distance from the Lawton Municipal Airport to Fort Sill is about 5 miles. You and your dependents will need driver's license or the military ID card to be able to be allowed on post. Security personnel stationed at the gates should provide additional assistance and will direct you to the Lodging, Officer in Charge (OIC) after working hours, or the Welcome Center, depending on your orders, time of arrival, rank, and marital status. There is a military representative at the Lawton Municipal Airport from 4:30 a.m. until the last flight arrives, usually about 10:30 p.m. Upon arrival at the airport you may want to stop by the military desk and request a Fort Sill Guide booklet and a Map. The booklet contains information, a phone directory, and Fort Sill/Lawton maps. The map also contains information, the Lawton map on one side and Fort Sill map on the other side. The only cab service allowed to enter Fort Sill is Peoples Cab Company. If you have no one to bring you to Fort Sill to process in, usually Peoples Taxicabs are parked in front of the airport where you can easily flag one, or you may want to make use of the public phone to call Peoples Taxicab, 580-357-9999, or 580-355-1706. The average cost for the taxi from the Lawton Municipal Airport to Fort Sill is $7.50 for one person and $3.00 for each additional person using the cab, prices are subject to change without prior notice. The Lawton Transit Service bus system operates until 9:00 p.m., you may want to use the bus system to ride to Fort Sill. The bus will stop at the bus station where you will transfer to the 'Orange Route' which runs through Fort Sill, and will drop you at the Guest House (Altman Hall). The cost for the bus transportation from the Lawton Municipal Airport to Fort Sill is $1.50, prices are subject to change without prior notice. If you are completely new to the area, you may want to ask the bus driver where do you need to go so he/she makes the stop for you. If you drive from the Lawton Municipal Airport to Fort Sill, once you leave the airport you will come to a stop sign at 11th Street. Turn left on 11th Street and remain on it. It will become Fort Sill Boulevard which will lead you directly to the installation through Scott Gate. We don't recommend that you fly to Oklahoma City Will Rogers World Airport, unless you are planning to rent a car at the Will Rogers World Airport in Oklahoma City to drive to Fort Sill. There is no public transportation to Fort Sill from OK City, unless you use the Greyhound Bus, for which you will need to check their schedule and stops, and purchase the bus ticket. If you drive from Oklahoma City Will Rogers World Airport, as you exit the terminal building, you will be on Meridian Road northbound. In approximately 1.5 miles, you will come to Airport Road. You should get on it eastbound. At the intersection of Interstate 44 (I-44), exit south on I-44, at which time you will be on Mile Marker 116. (Be ready to pay 2 tolls during your drive from OK City - will need $2.75 to cover for both.) Remain on I-44 for the next 80 miles or so until you see the signs for "Key Gate", and exit on Key Gate, mile marker 41. Fort Sill is a 'closed' post. In order to gain access you must show a valid photo Identification Card (ID). If you are driving into Fort Sill you must show proof of your current driver's license, state vehicle registration, and proof of insurance. Scott Gate (Fort Sill Blvd) - Open 5:00 a.m. - 9:00 p.m.
Gate 6 (52d Street) Open Mon - Fri 5:00 a.m. - 9:00 p.m.
Saturday and Training Holidays 6:00 a.m. - 6:00 p.m.
Apache Gate - Open Monday through Friday 5:00 a.m. - 9:00 p.m., and 6:00 a.m. to 6:00 p.m. on Saturday and Training Holidays, Closed Sundays & Federal Holidays. Most likely you will access Fort Sill through Bentley Gate, Scott Gate, or Key Gate. Notice that Bentley Gate and Key gate open 24/7. Lodging, Building 5676 Fergusson Road and is open 24 hours, 7 days a week. 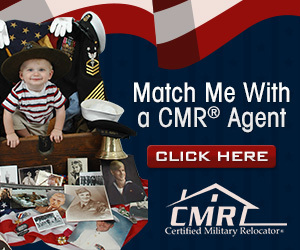 No listings found for Fort Sill.